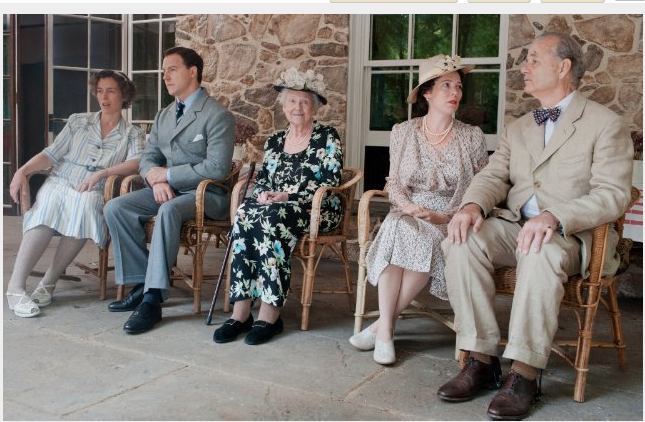 Elizabeth Wilson (center) played Bill Murray’s (far right) mom in “Hyde Park on Hudson.” (2012) It was the last role she played in her career. News that Elizabeth Wilson, an actress who played lots of moms on stage and screen has died, was released today. The character actress, who never had any children of her own, was 94. According to the great Internet Broadway Database website, or IBDB, she was in more than 20 Broadway shows. I am glad to say I saw her in four: Threepenny Opera, Morning’s at Seven, You Can’t Take It With You and A Delicate Balance. Click here for the NYTimes obit.